Stats SA data shows that there were close to 151,000 marriages in 2014 – serving a multi-billion rand industry in South Africa. And while the global wedding industry is estimated to be worth around $300 billion annually, in SA, recent figures point to a custom in decline. According to Stats SA, the number of weddings taking place each year has been in steady decline, with the number of marriages between 2013 and 2014 down by 5%. At the same time, divorce rates in South Africa are climbing. Stats SA data showed that in 2014 there were 24,689 divorces, up from the 23,885 in 2013 – and up too, from 2011. According to attorney Hugh Raichlin, one of the biggest factors for higher divorce rates is financial woes. And given the financial costs associated with getting married – where some couples take out loans to cover the costs – it can put a couple behind the eight ball from the outset. Costs vary greatly depending on the size and location of the wedding. According to professional wedding planners, Great Occasions, the average cost of a wedding in South Africa is between R70,000 – R80,000 for 80 to 100 people. However, the group notes that these going prices per head (R700 to R800) could easily escalate to R1,500 or R2,000 per person (R200,000 for a wedding). 50% of the budget goes to the venue – including hire costs, food and alcohol. 15% should be budgeted for unforeseen costs, such as travelling expenses, service providers and consultations fees. and R10,500 – R30,000 for everything else. Financial journalist, Maya Fisher-French broke down wedding costs further, including items such as the wedding rings, honeymoon and even lobola. According to Fisher-French, citing survey data from Visa in 2012, on average, couples plan to spend R27,000 on a honeymoon, and R20,000 on an engagement ring. For traditional weddings, lobola comes to about R40,000. Even these costs can escalate, though, with some respondents saying they would pay as much as R100,000 for the ring, and R250,000 for lobola. With these extra costs taken into account, the price can escalate significantly to between R120,000 (excluding lobola) and R290,000 (all included). Fisher-French said that while these prices are an average, they can easily double. Wedding and lifestyle group, Yes Baby Daily also broke down the “realistic” costs of a wedding, finding a low-end average at R55,000 and a high-end average at R270,000+ – all inclusive. 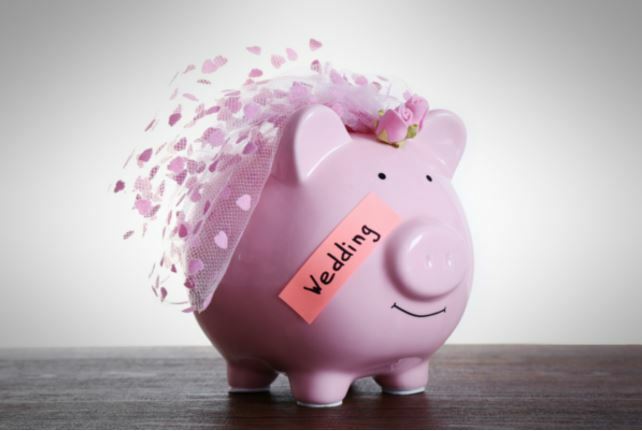 According to Fisher-French, if couples take out a loan to fund an “average” R150,000 wedding, they would need R5,500 a month (if not more) over the next three years to repay the debt. That equates to a 10% deposit on a R1.3 million home – or if invested, could grow to be R500,000 in 10 years, she said.